On our recent trip to the Bunya Mountains (native rainforest in Queensland) we were delighted to find the famous bower of the Satin Bowerbirds. 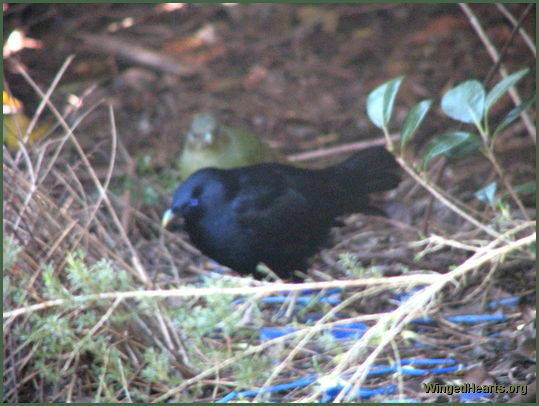 the male (blue satin coloured bird below) had adorned the nest with blue objects that match his sweetheart's eyes. He was attempting to woo her and impress her with his bower building abilities. A pair of Corellas have moved into our neighbourhood. Returning from a trip to Vicky's nest one day, we heard a strange sound calling us from behind. At first we couldn't see who was calling us and started to walk back. But we were called again and again until we found the callers. 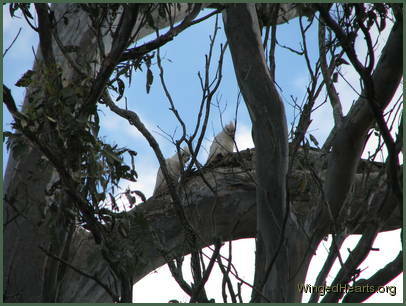 A pair of light coloured birds were calling out to us from a big branch of one of the gum trees. 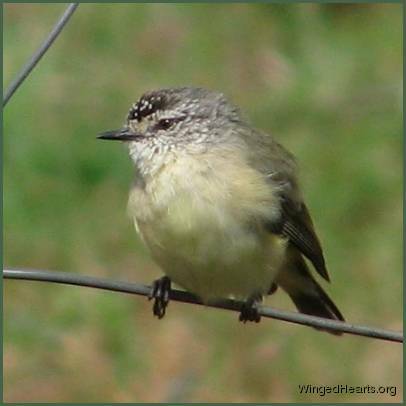 The thornbills were busy playing with their willy-wagtail friends in the paddock when we called out to them. Smaller than my thumb, these birds left the safety of the scrub and sat on the fence, singing for us and posing for the camera. They remembered us even though another year had passed from our previous visit. Larry and Harrie our favourite Grey-butcherbirds have always been keen to show us their nests. 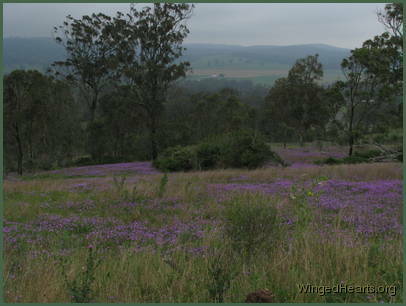 We got to meet them through Vicky magpie when we would trek into the bush to see her. The first year Larry and Harrie's' nest was on a tree that grew at the edge of the gully and we had a pretty good view (see logo above) as we walked across to Vicky's tree.